I love combining toys with painting! My 3 y.o. used two spinning tops to good use one fine day, and created a few good results! He applied paint on the bottom of the tops. 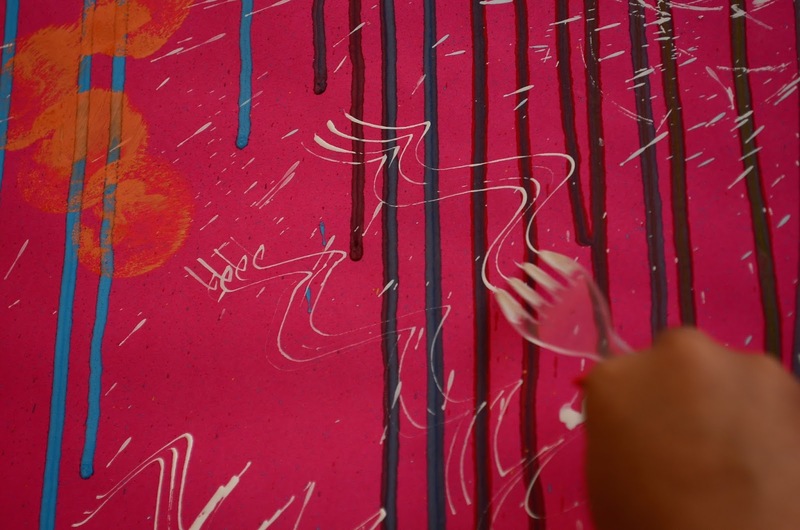 Although it is required only on the edge, he insisted on painting the entire bottom. Well, then he spun them! To make circles, you need to lightly touch the spinning top so that the edge touches the paper. If you don't, you'll end up with only circular spatter! But as touching usually stops the spinning altogether, my kid was initially quite reluctant to do it! Nooooo! Don't touch them! umm... but don't you want circles? This was the 2nd on-going project that he pulled out. He had spray painted over a large chart paper some days back and now wanted to do something more. So he spinned some tops, stamped some sponges, swirled some forks. What a fun outside project for summer. 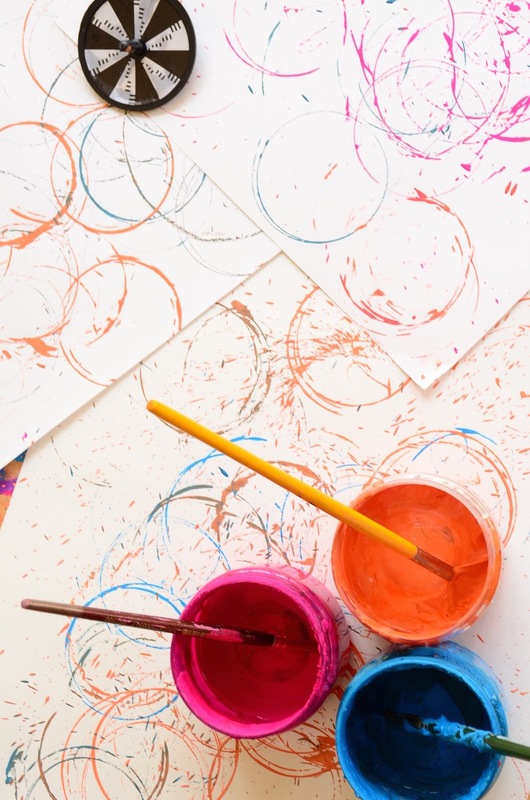 Your painting with spinning tops could be fun for any age. You come up with the most fabulous idea! Fun, Fun! Thanks for sharing with SYC. 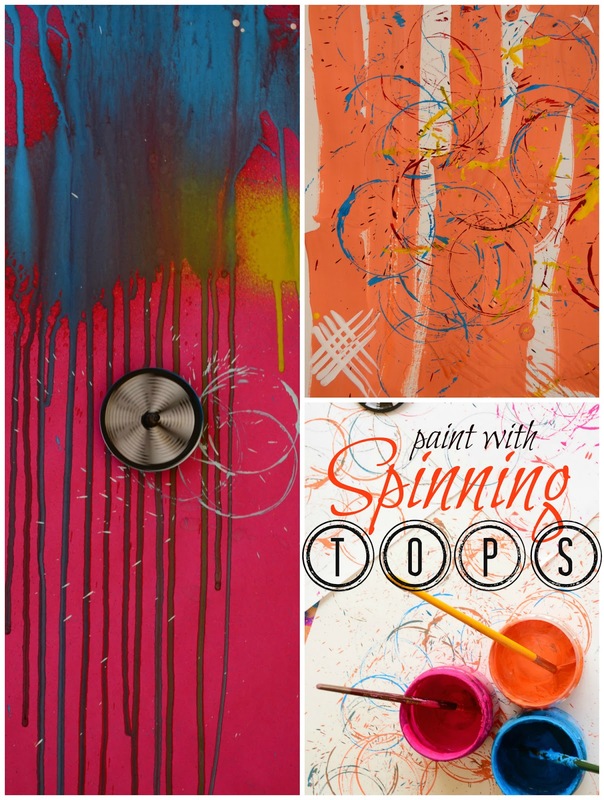 What a fun and creative way to use paint and tops! What a great idea. Creative and works on fine motor skills at the same time. I love it. How pretty! 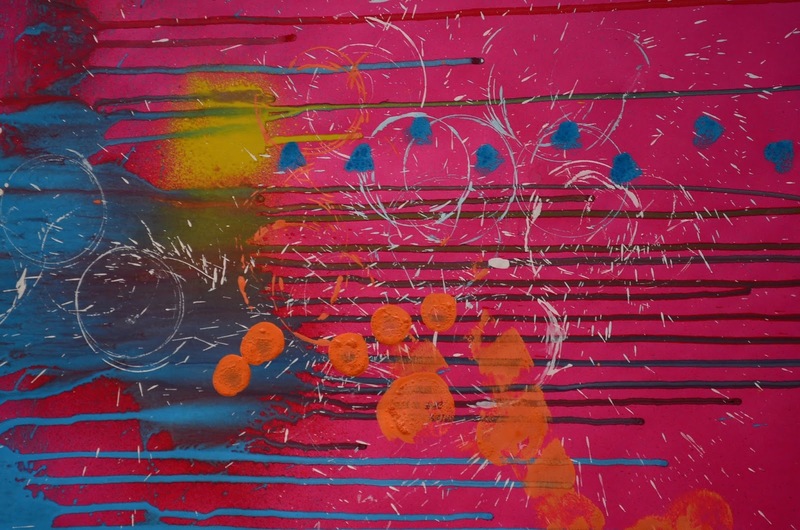 I love the patterns that resulted from this process art idea! Forget the kids, I want to do this!!! How awesome!! Could you tell me which tops you used? We used random cheap ones! Whatever was available at the toy store!